​Juventus are close to agreeing a short-term loan deal for Manchester United defender Matteo Darmian, with the deal set to become permanent at the end of the season. Darmian has failed to make much of an impression since joining United from Torino in 2015, earning just 59 Premier League appearances during his three and a half year stay. He has fallen further down the pecking order since the arrival of youngster Diogo Dalot and his time with the Red Devils looks certain to come to an end once his contract expires at the end of the season. 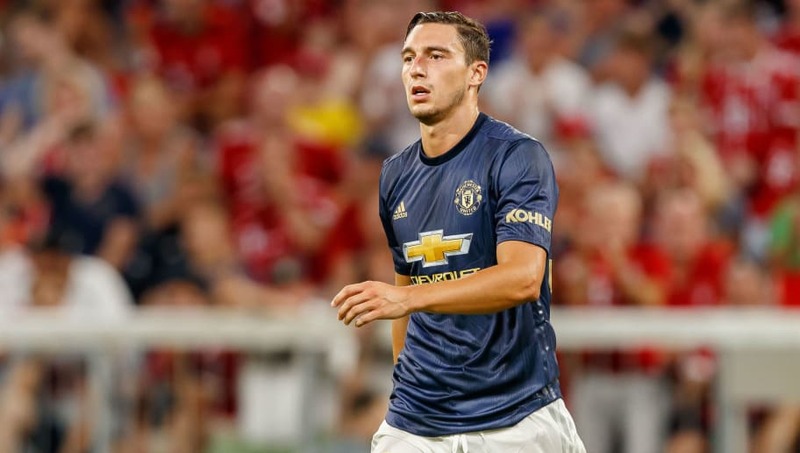 According to ​the Guardian, Italian giants ​Juventus are looking to take advantage of Darmian's delicate situation at ​United and are closing in on agreeing a loan deal that will include an option to buy the 29-year-old on a permanent basis in the summer. Juventus view Darmian as an excellent utility player due to his ability to operate in a number of positions across the back line and the two clubs are in advanced talks to see if they can agree a deal. Darmian himself is keen on a move back to Serie A and if Juventus can get the deal over the line then they will pay United an initial £2.6m for the loan and a further £7.1m to sign him permanently in the summer. The deal could also be aided by the potential return of Timothy Fosu-Mensah to United, after ​Fulham manager Claudio Ranieri admitted that he would be happy to let the right-back return to his parent club after he has lost his place in the starting XI at Craven Cottage.